Smaller bathrooms really are a challenge when renovating the bathroom. 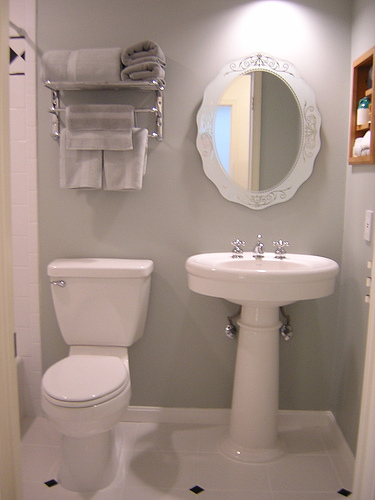 These days bathrooms appear to be getting smaller and family bathrooms are compact spaces. But with the right vision you can turn a compact bathroom into a luxury inspired space. Quadrant shower trays are probably the best bathroom product you can acquire for a smaller bathroom. These shower trays are designed for a corner position and come in square or rectangular designs with a stylish curved front offering elegant and style to the bathroom space. The best feature is that the quadrant shower trays help you maximise your floor space. Another advantage to the quadrant shower trays is the enclosures that have been designed to fit these trays have sliding doors, so you don’t have to worry about the door swinging open and banging into any of your other bathroom products. Reducing the clutter in the bathroom is as important as the shower tray you choose. There is nothing worse than a small bathroom filled with towels, toiletries and other bathroom items. A vanity unit combined with the quadrant shower trays are just simple ways to make the most of your bathroom space while reducing the clutter and giving everything its own storage space. The toilet you choose will also impact the space which is why back to wall toilets are such a top choices these days in smaller bathroom designs. These toilets, like the quadrant shower trays, are designed to maximise the floor space you have available. The back to wall toilets have the cistern hidden in the wall and the toilet bowl is mounted directly to the wall. 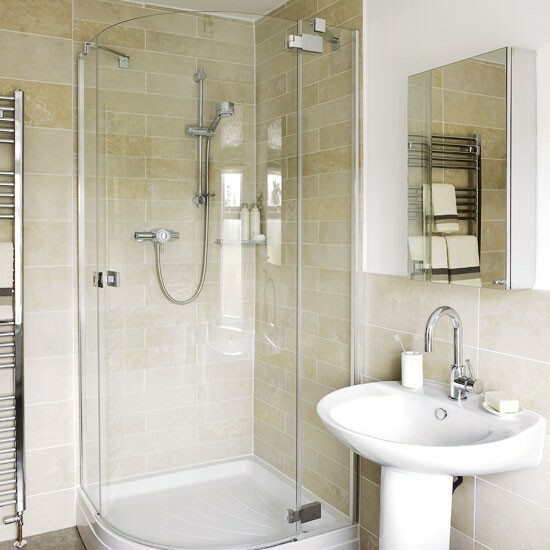 This can save considerable space when working with a small bathroom. Now you have the quadrant shower tray, vanity and toilet, you need to ensure your bathroom is light and bright. The lighter the bathroom the more spacious it will feel. If your bathroom doesn’t have an abundance of natural light choose mirrors with lights to add that additional lighting. Lightly coloured walls, white quadrant shower trays and plenty of light are the recipe to success when designing a smaller bathroom space.